Just when Helen thinks she can take charge of her life, a devil-hunting itinerant preacher upsets the delicate balance she has managed in a family locked in secrets and headed for trouble. When Helen breaks down, her husband, Richard, angry and ashamed, commits her to a mental institution without telling their children where their mother has gone. Lillian's Garden is a novel about failure and finding redemption through learning how to ask for what you want and accepting what love has given you. Carrie was born in Detroit and grew up in Wayne, Michigan in the shadow of Eloise Mental Hospital. 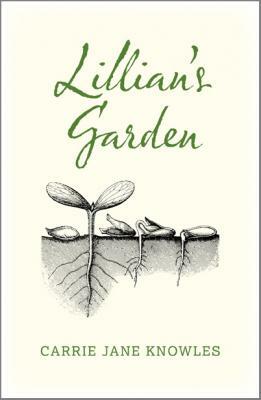 She wrote Lillian's Garden because she strongly believes women often forget to plant the seeds of their own dreams while they are busy juggling the responsibilities of being both a good wife and a mother. She lives in Raleigh, North Carolina.